To get to the seatmap on the flight you’re on, you can pull up your booking in Manage My Booking, or alternatively you can make a booking on Korean Air’s website (which is as straightforward as booking a flight gets). From there you’ll be directed to flight selection. Now the booking system states the aircraft that your flight will be operated by, but that’s common practice for many airline sites. However, not all airlines tell you exactly which product you’ll be getting onboard. The key is to click on the linked aircraft type next to your flight. I clicked the “A330-300” link next to the KE 602 flight on the panel above, and was linked to Korean Air’s A330 seatmap. As you see from the link below, there’s both a 272-seater A330, and a 276-seater A330 (the 272-seater features Apex Suites, whereas the 276-seater features standard fully flat seats in both first and business class). Here’s the thing – if your flight is operated by one of Korean Air’s older aircraft (the KE 602 operating on the date of the dummy booking wasn’t), Korean Air’s interface will automatically redirect you to the 276-seat A330 seatmap. So Korean Air will automatically redirect you to the seatmap of the exact configuration that you’ll be flying. On the right is a seat guide, which even more clearly indicates the exact seat type that you’ll be seated in (this wouldn’t be needed on a 777 when you’d be able to tell if your flight had a 2-2-2 or 2-3-2 configuration, but the A330 features a 2-2-2 configuration either way, so…). 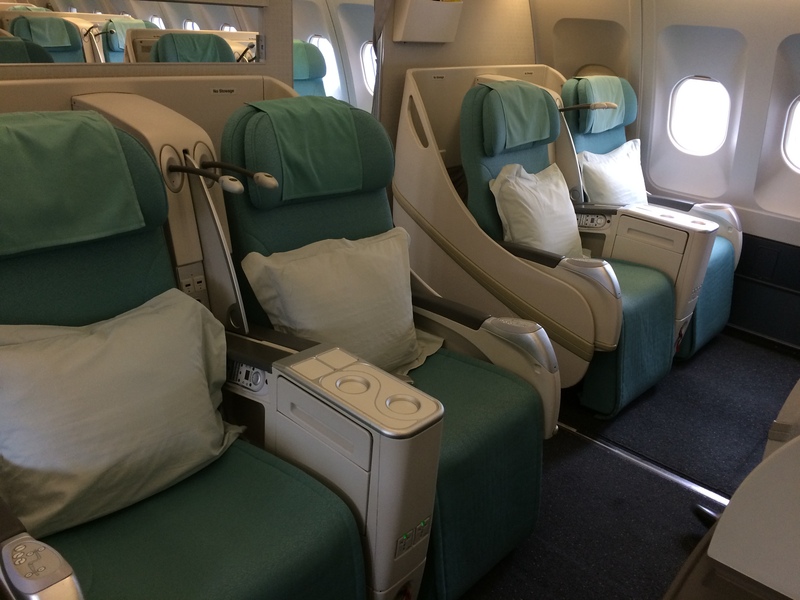 Which aircraft feature Korean Air’s best first and business class products? While Korean Air offers a variety of products, it’s obvious that some are better than others. So, which ones should you try to book yourself on? If you’re in first class, look out for Korean Air’s 747-8s and 777-300ERs – all 747-8s feature Korean Air’s new first class, but only the 277-seater 777-300ERs feature Korean Air’s newest first class product. 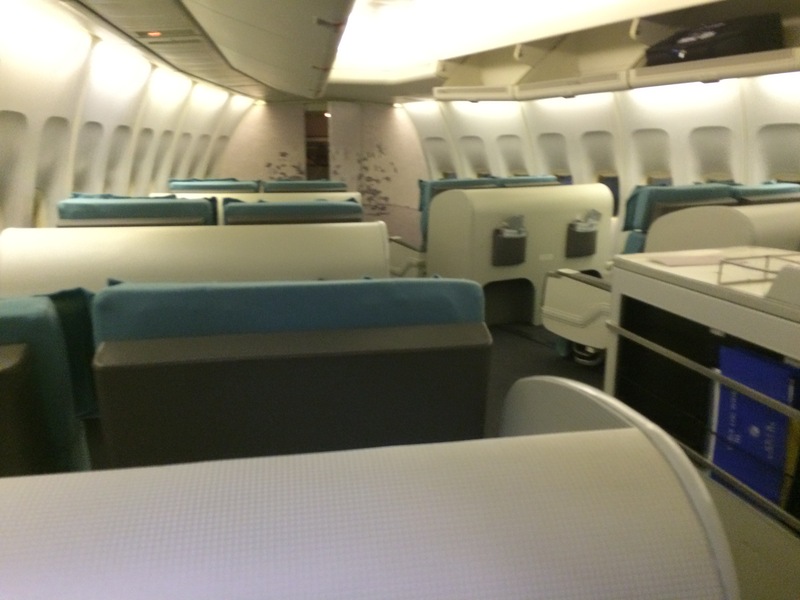 Korean Air’s new first class has a door (so it’s fully enclosed), along with a lot of extra storage. They call this new product “Kosmo Suites 2.0”, which you’ll be able to see in the seat guide detailed above. Korean Air’s 291-seater 777-300ERs, A380s and 777-200s feature a less luxurious, though also spacious “Kosmo Suites” configuration (also detailed above), which is substantially inferior to the Kosmo Suites 2.0, but still decent. 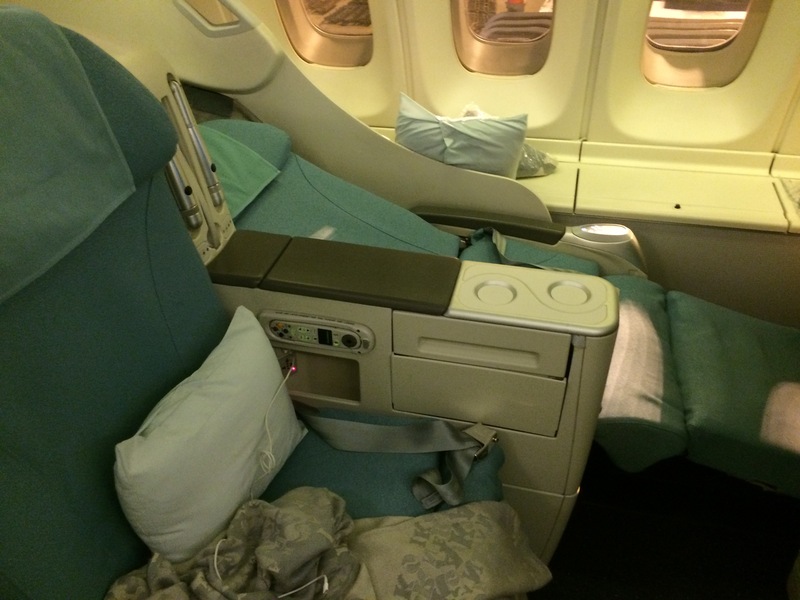 If you’re in business class, look out for Korean Air’s 747-8, 787, 777-300ER and A330-300. Once again, all of Korean Air’s 747-8s and 787s feature the airline’s newest business class product, but only the 277-seater 777-300ERs and 272-seat A330-300s feature Korean Air’s newest business class product. Apex Suites are very private, very spacious, and very comfortable – easily one of my favourite business class configurations out there (though not my absolute favourite). If these aircraft aren’t offered on my preferred route, I also wouldn’t mind a window seat on the A380, which at least feature storage bins at all window seats. In business class, I’d say that Korean Air’s non-Apex Suites products are all substantially inferior, though not much different. If anything I’d avoid the 291-seater 777-300ER, as the business class configurations feature middle seats, and the cabin is larger than on other aircraft, leading to a (marginally) less private experience. I’d also avoid flying the 747-400, which features angled lie-flat seats. However, at this point, given Korean Air only has two of them left and both are 20+ years old, flying an antiquated Korean Air 747-400 is more of a novelty experience than not (they fly exclusively regionally now, thankfully). The real differentiation between products across cabins is in first class. I would actively try and avoid a first class flight on the A330-200, 276-seater A330 and 777-300, as they feature the same seats in first class and business class, and they’re mediocre business class seats at best. I’d also avoid flying the 272-seat A330 and the 787, as they feature Apex Suites in business class. The Apex Suite is a very good business class product, but is less impressive in first class, and certainly can’t compare to Korean Air’s “true” first class products on the 777, A380, and 747-8. Korean Air has some confusing cabin products, especially if you’re flying first class. However, it’s nice that they make it easy to identify on their website. I also appreciate that the photos aren’t PR photos, since you can see exactly how good or how bad the seat is. Hopefully this served as a decent guide to how you can tell which product your flight will feature on Korean Air, and which products you should try to book yourself on. Did you know that you could check which product your Korean Air flight had in advance?